Mirror Group Newspapers' appeal to reduce the size of damages paid to eight victims of phone hacking was rejected on all grounds today but the publisher said it would fight on. The Court of Appeal rejected Mirror Group’s appeal against an earlier judgement ordering it to pay £1.2m to eight celebrities, including Sadie Frost and Paul Gascoigne, whose mobile phones were hacked by its journalists. In her judgement, Lady Justice Arden said: "MGN cannot expect this court to come to its rescue and find some way of finding the awards to be excessive when its staff have been responsible for disgraceful conduct with such distressing consequences, and when to boot it is quite unable itself to point to actual awards that it contends are wrong." The Court of Appeal found "no mitigating circumstances at all" to reduce the size of the damages and said that journalists "ransacked the respondents’ voicemail to produce... demeaning articles about wholly innocent members of the public in order to create stories for MGN’s newspapers". The judgement said the publisher appeared not to care about the distress it had caused to its victims. Frost was awarded the largest damages, £260,000, in May’s judgement, while Gascoigne was awarded £188,000. Following May’s judgement, Mirror Group parent company Trinity Mirror said it thought the method used for calculating damages was incorrect and that it was considering an appeal. Speaking after today’s Court of Appeal judgement, James Heath, lead solicitor for the claimants at Atkins Thomson, said: "The awards made to these eight claimants are the largest awards of damages yet made by our courts for breach of a person’s privacy. "They range from £72,500 to £260,250 and it has taken great courage for this group of eight individuals to hold their nerve and persevere against the largest newspaper publisher in this country. In doing so, they have achieved guidance that will allow many more people to be fairly compensated for similar abuse carried out against them by the tabloid press." But Trinity Mirror insisted that the damages were excessive and that it would continue its legal challenge. 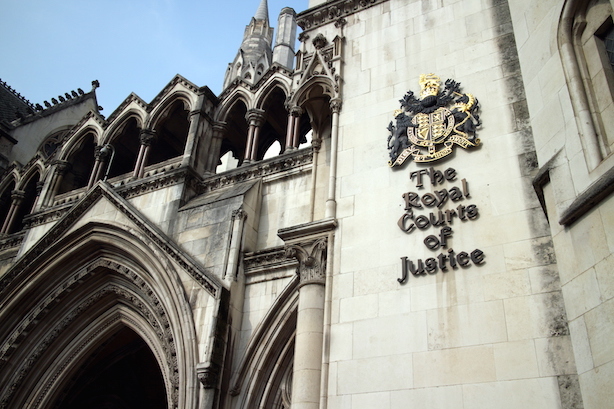 A spokesperson said: "We are disappointed that the original judgement in the civil trial for the assessment of damages related to phone hacking has been upheld. We continue to believe that that the basis used for calculating damages is incorrect and the amounts awarded are excessive and disproportionate, far beyond what could be expected in cases of serious physical injury or mental suffering. "We are keen to move the process forwards and settle outstanding claims at appropriate levels but still hold the view that there are hugely important principles at stake for the wider media industry and law of the UK, and so we will be appealing to the Supreme Court."